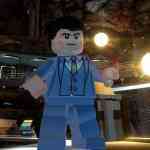 Lego games have covered a gamut of movie and super hero franchises, from Star Wars to Harry Potter to Marvel. Of course Batman has been part of this long line of game releases, and recently Lego Batman 3: Beyond Gotham hit store shelves. Given it’s the third game to be released with the Dark Knight’s name attached to the title, I really wondered what could be offered to change things up. Well, in many ways this game sticks to the “tried and true” formula that has made the Lego series enjoyable, and although Batman is the headliner, there are a huge amount of Justice League characters added for fans this time around. If you are looking for a deep story you really don’t need one here as it’s good versus evil, and that is all that matters. 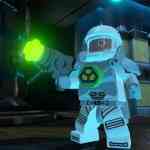 In case you have to know, Brainiac is the master villain and you’ll have to save Earth this time around. For those geeks out there you’ll find a lot of heroes to choose from as you get deeper into the game, and you’ll come across a wide range of villains too. From the well-known heroes such as The Flash and The Joker to those who may not be as common such as Plastic Man (I know, who is he? ), Cheetah or Firefly. There are upwards of 150 or so characters to play as, but of course you’ll have to work hard open all of them, which is something that Lego games have become well known for. And on a side note, the amount of different Batman characters from different eras of the franchise is impressive, from the Adam West days to the more current Dark Knight trilogy of movies. It is a bit of a fan-service to say the least. Lego games have always relied on three main elements for gameplay, exploration, puzzle solving, and knocking the Lego studs out of enemies. Sure, there is some platform elements mixed in, but that goes hand in hand with the exploration aspect. 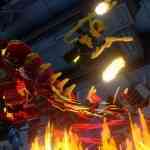 Lego Batman 3 is no different as it combines all the regular elements that Lego game fans have come to expect. Exploration is always the most fun as there are many hidden areas, as well as areas that you will have to come back to and use another character and their related superpower(s). You’ll find lots of areas to explore too as there are a pretty fair range of different places to go to. Along with the common gameplay elements that fans have come to expect also come some of the problems that have been associated with them. It’s got floaty controls, sidekick AI that is pretty useless, button prompts that don’t show up, and times when the game refuses to recognize that you’re in the right spot for something to happen. I am somewhat bewildered that these kinds of things continue to rear their head after so many Lego games have been released. Issues like this can make the game frustrating at times, and for kids, who the target audience really is, they just may need help getting by areas where some of these issues pop up. 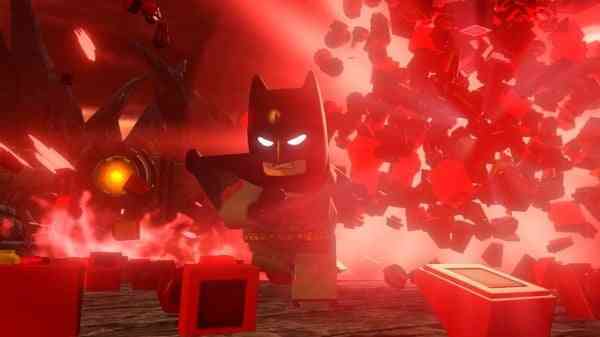 For those who are looking for longevity, Lego Batman 3 is a game that can be as long as you make it. The actual story campaign can take 10-14 hours depending on one’s ability and attention span, but Lego games are not just about the story. There are a TON of collectibles, from special bricks (e.g. gold) to all the extra characters and vehicles, and you won’t be able to complete the game 100% by just playing the story. You will need to go back to the levels you’ve completed and search for the things you missed, and many of these things will require the use of other in-game characters and their special abilities or items. 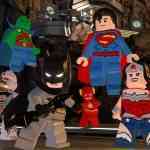 I for one enjoyed playing as so many different characters, as did my son, who is a big fan of both super heroes and Lego. He got to see super heroes that he had never heard of as well, which for me was a treat in itself. One thing that has been always enjoyable with the Lego games is the couch co-op aspect. Being able to play the game with a second person is always fun. 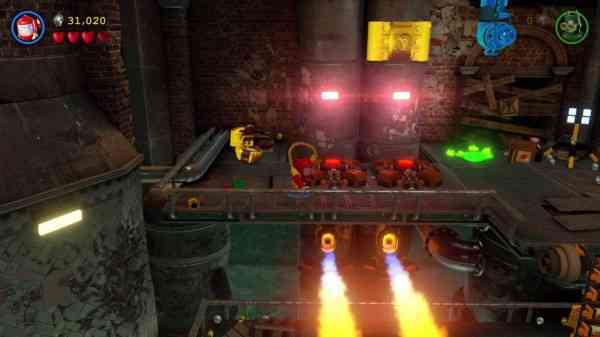 For me personally, being able to sit on the couch and play with my kids is part of the whole Lego videogame experience. Solving puzzles and beating up Lego bad guys is fun for them, and the whole “Lego-izing” of any universe, in this case one filled with DC super heroes and villains, adds to this as it can quite fun playing together as you get your character to press buttons, push levers, break and build virtual Lego structures, and knock down baddies all the while trying to reach the end of a level. 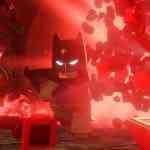 This is where Lego Batman 3 continues to shine. 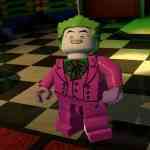 Visually, Lego Batman 3 is pretty solid. 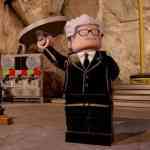 The Lego games as a whole have been great at taking various movie franchises and turning them into worlds made up of Lego. All the characters, vehicles, and environments in this latest game are pretty good looking in Lego form. The variance in levels is evident, and you’ll enjoy leaving planet Earth and see just how Travellers Tales thinks things outside Earth look like if made of Lego. Technically speaking the game is pretty solid and I ran into very little glitches. I did find the very odd bout of clipping when getting into a corner, but overall the framerate stays solid and the game runs fine, which should be a given as it’s running on hardware that is only one year old. 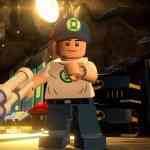 Audio is a very strong suit for Lego Batman 3. The voice acting is enjoyable to listen to during the cut-scenes, and the small snippets during gameplay too, as there is humour to be found all over. Sure, some of it seems forced, but overall I found myself chuckling a few times, as did my kids. There are some celebrity voices to be found in the game, such as Conan O’Brian (Batcave Guide), Adam West and even Kevin Smith (Clerks). As with the voices, the music is solid. The best way to explain it is that it is “super hero-esque”. 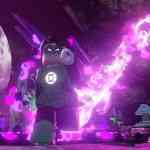 As you make your way through the levels and fight evil the music blends in with all the on-screen action, which is kind of important in a super hero game, Lego or not. 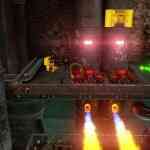 Finally, the sound effects are very Lego-centric, so when you break things apart and put them back together that familiar sound of that Lego click is there, as well as the sounds of lasers, cars, special abilities being used, as well as that now famous Lego game sound of collecting Lego studs. There is no doubt that Lego Batman 3: Beyond Gotham is somewhat enjoyable, and with all the characters to open and secrets and collectibles to find there are hours and hours of gameplay. Most people who pick this game up will no doubt have fun. That being said, where my issue lies with the game, and the series as a whole, is that there have been no major changes to advance the series of Lego games. 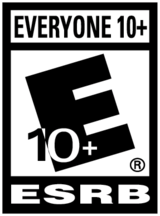 It’s a recycled formula that has worked over and over again and it has left some gameplay issues that should have been fixed long ago (e.g. floaty control or collision detection); however, the “if it ain’t broke don’t fix it” formula works and for many that will most likely be fine for them.